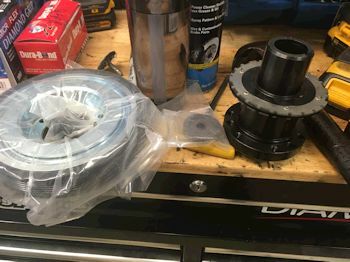 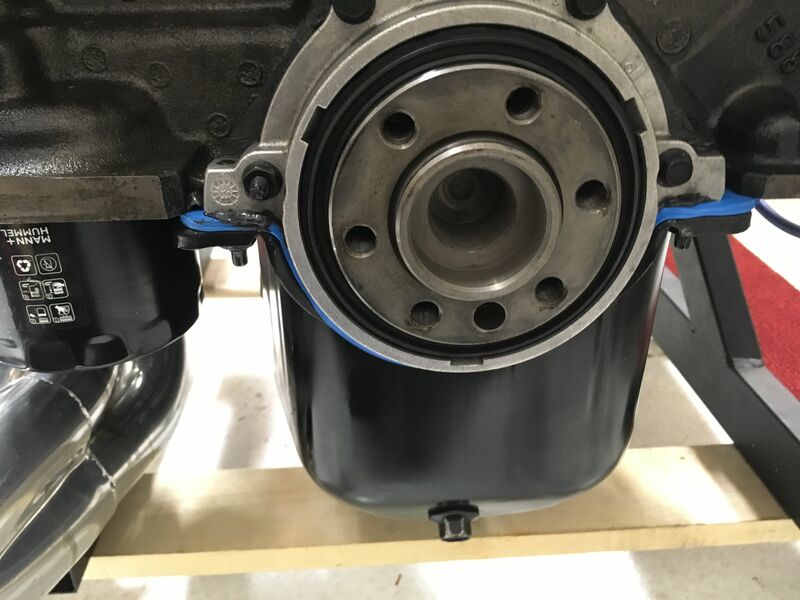 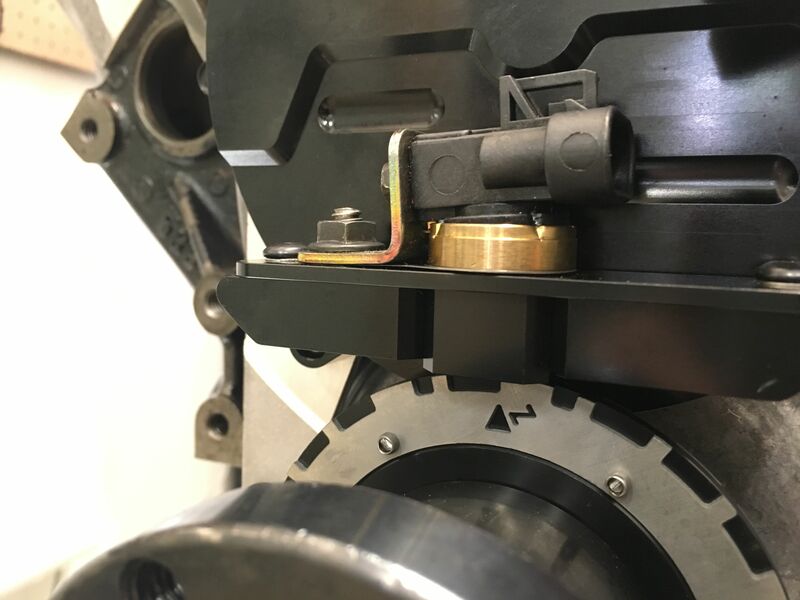 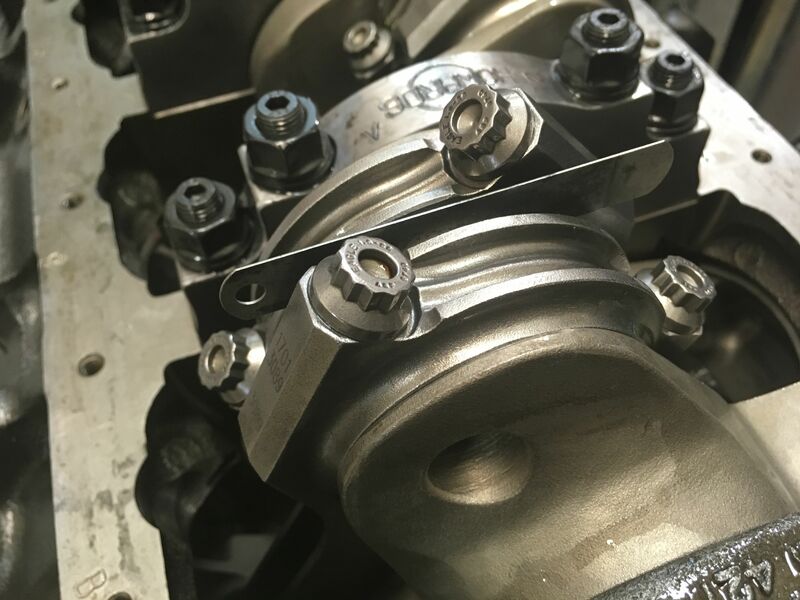 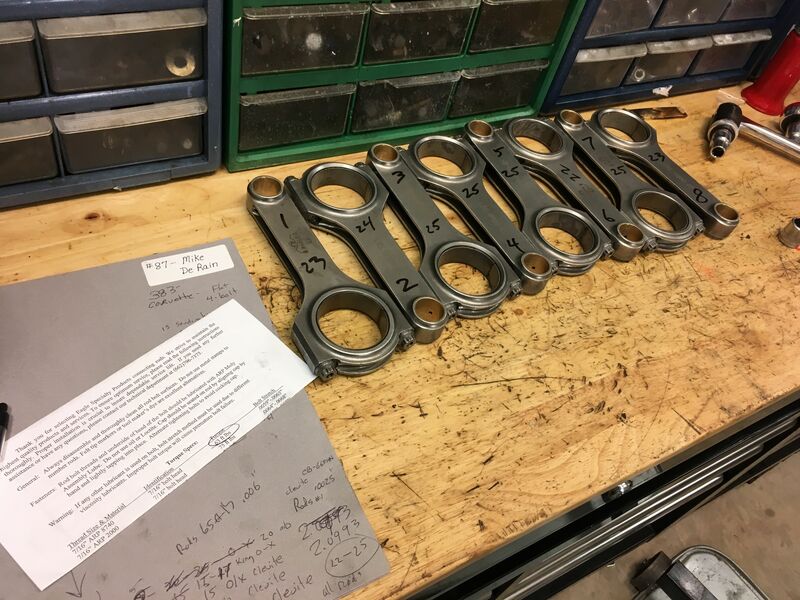 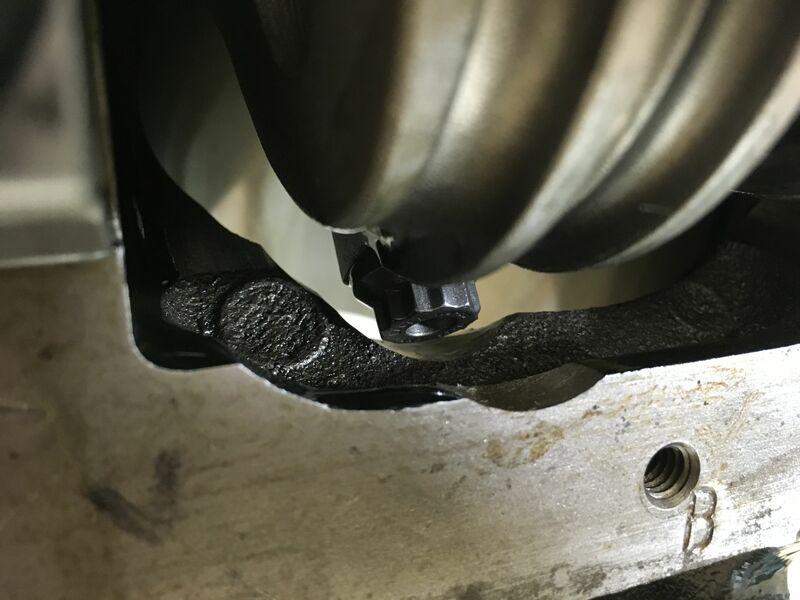 Main bearing clearance finalized. 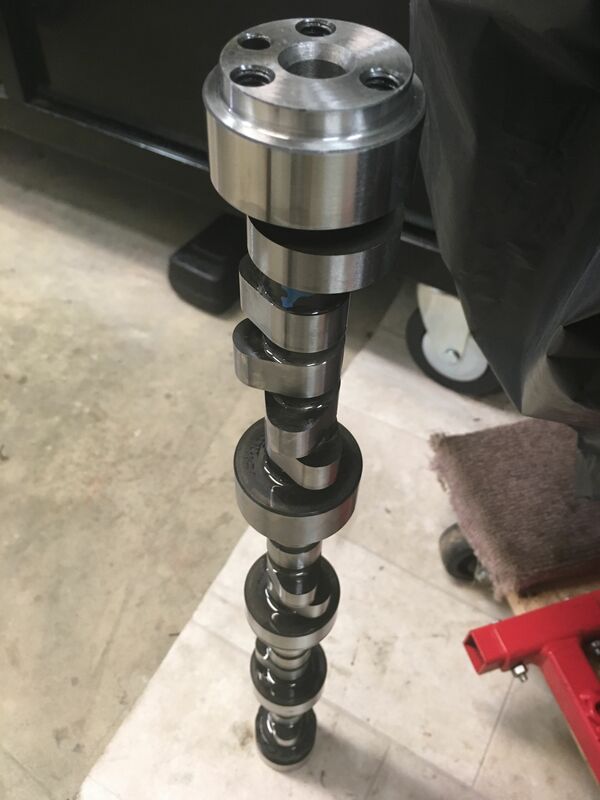 I mixed a few bearings. 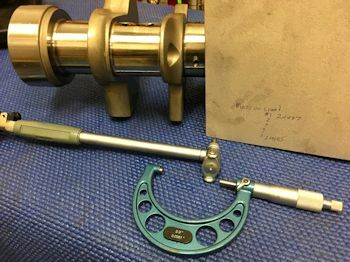 Standard and "X" size. 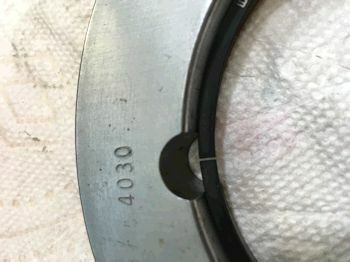 That gives .0015" to .0020" for #1,2,3,4 and .0025" for the thrust (#5). 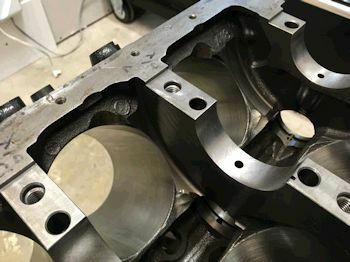 After doing main bearing clearance I then clearanced the block and washed it. 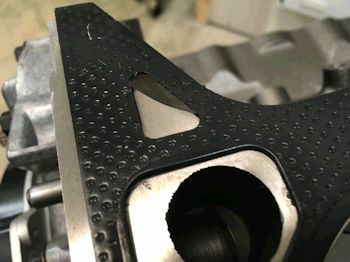 Here is a spot that I grind down to allow for better oil return. 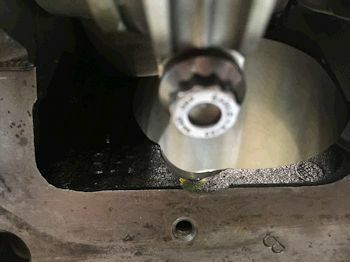 Here is where I clearance for rods at the bottom of the bores. 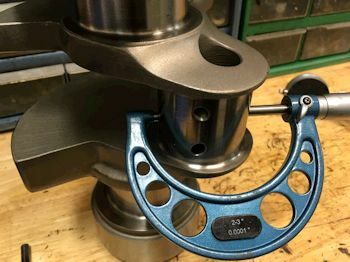 Rod bearing clearance at 0.0025"
All rods measure from .0022" to .0025" using Clevite HN bearings. 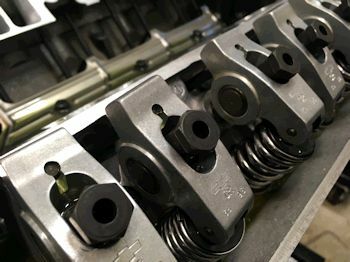 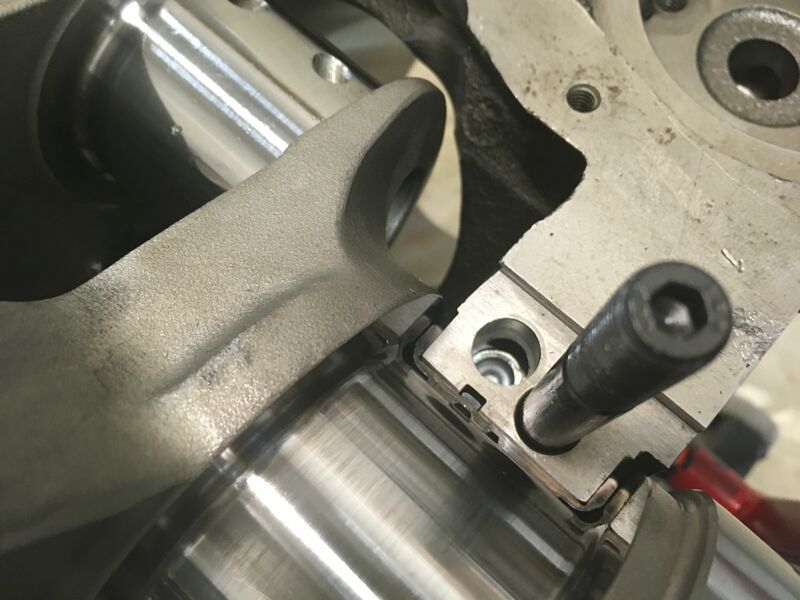 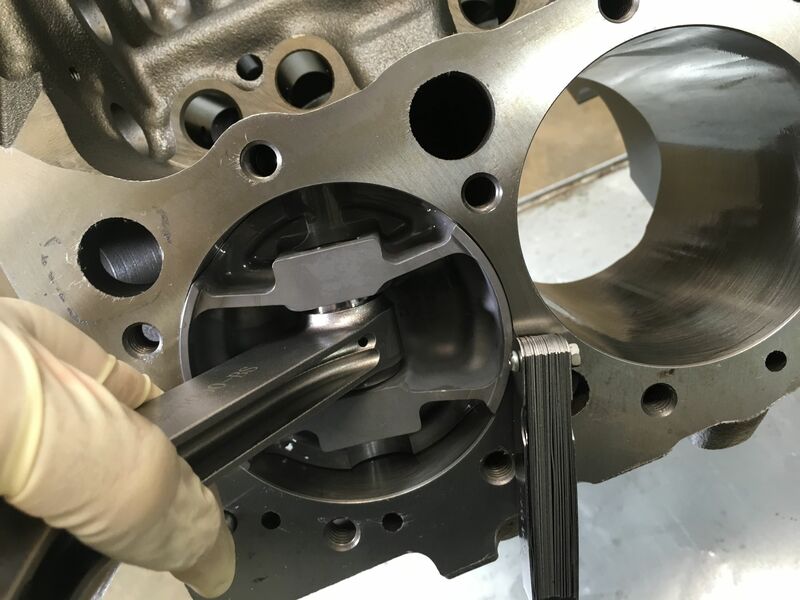 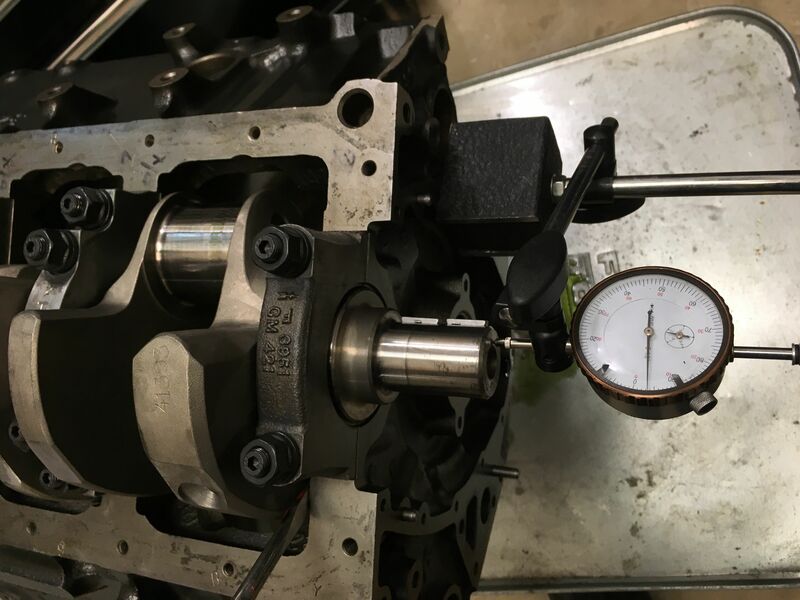 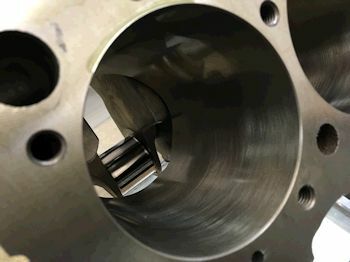 Piston to cylinder bore clearance at .003" as per piston requirements. 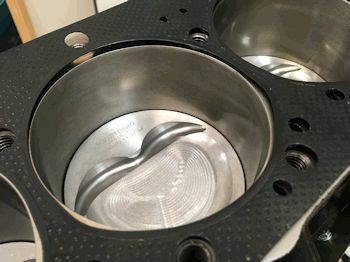 This is built into the piston size. 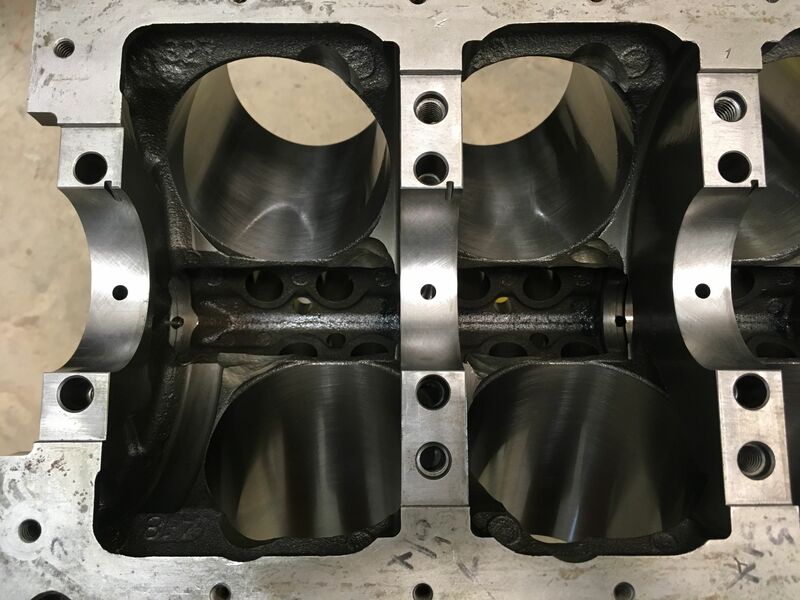 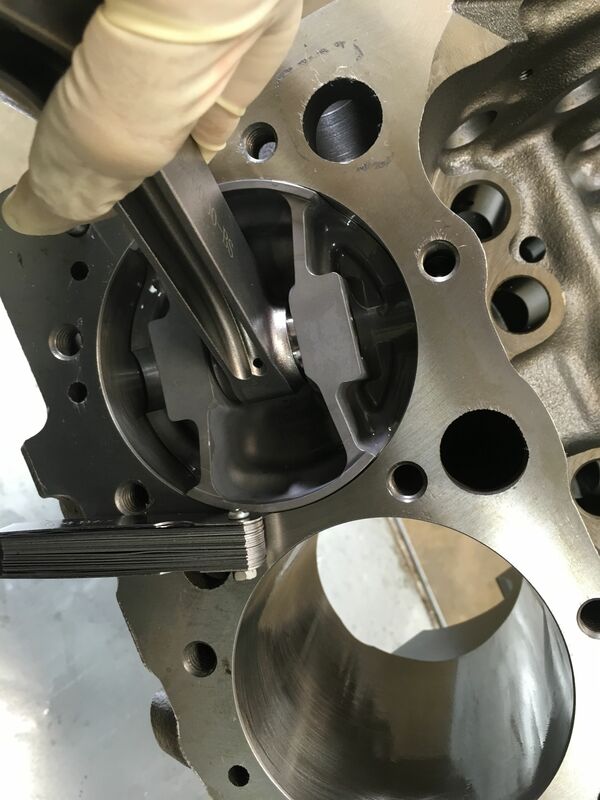 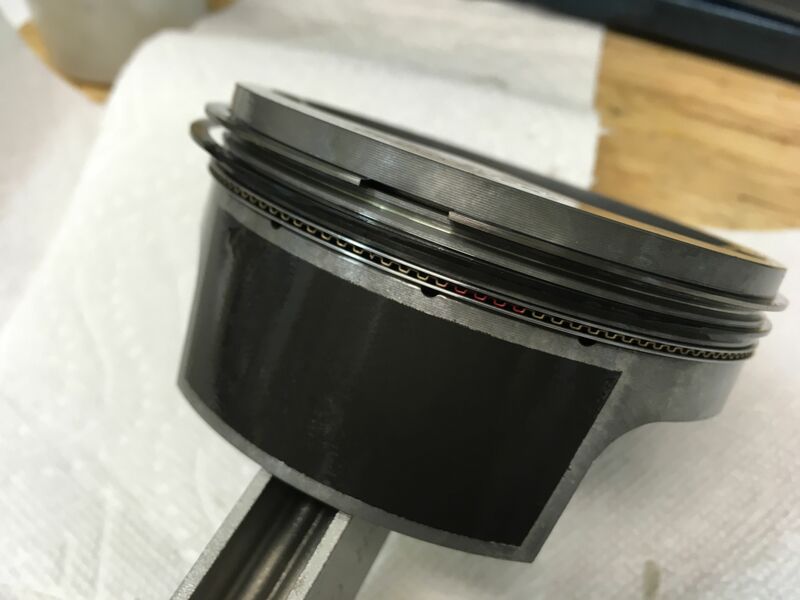 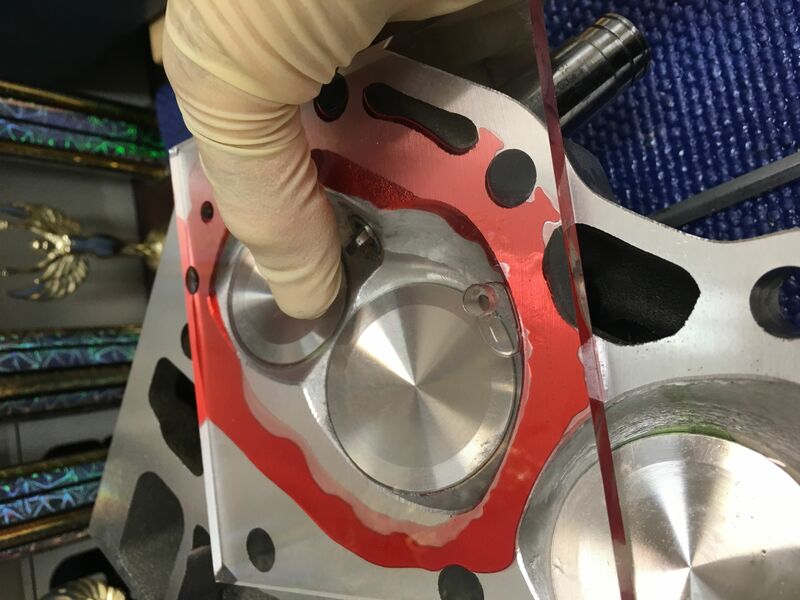 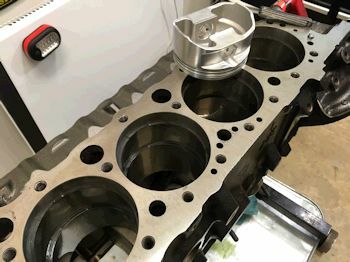 The bores are at 4.0300" dead nuts on and so the piston will have the proper clearance right out of the box. 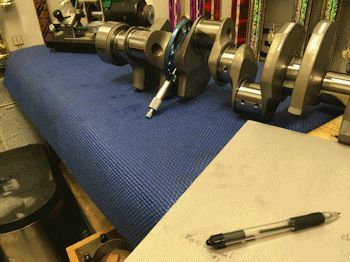 This is just a verification. Photo of the oil galley plug to verify that I did in fact install it. Crankshaft gets a final cleaning. 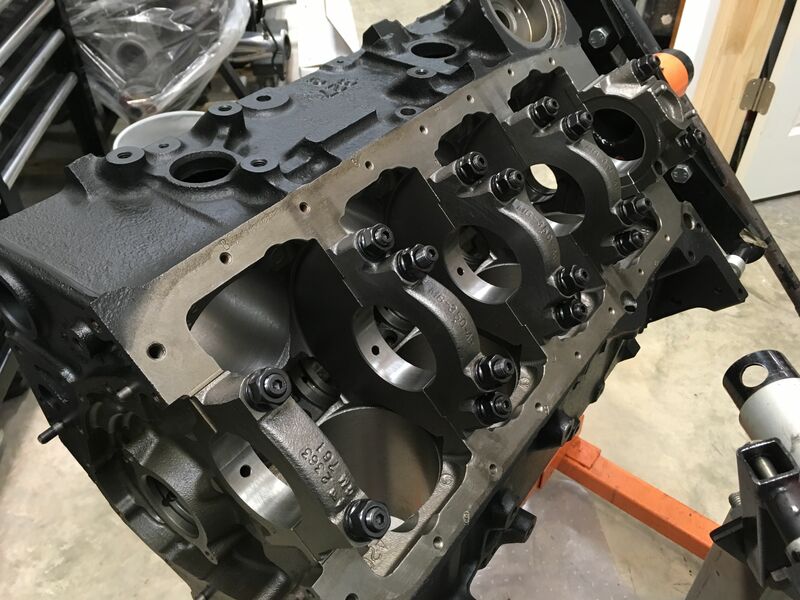 Here is the core LT4 right after receipt from the trucking company. Here it is after a quick pressure wash. 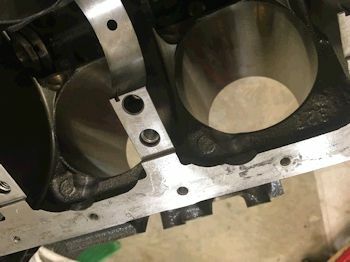 I wanted to take the opportunity to show how the LT4 intake manifold ports are quite a bit smaller than the LT4 gasket. 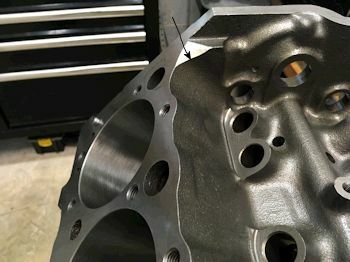 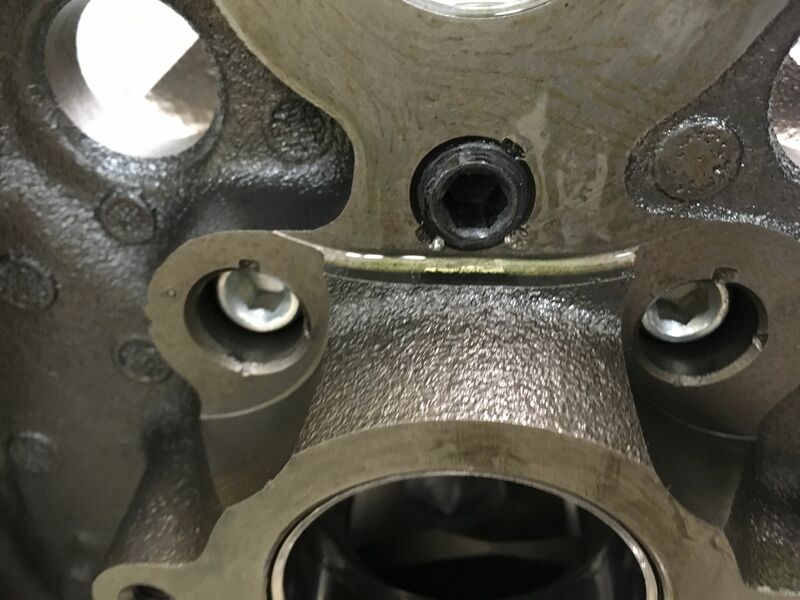 See here on the LT4 head where the gasket is a bit larger than the head port too. This is good info because it shows that the heads are not port matched to the intake from the factory. Here are the very excellent GM (Crane) factory LT4 roller rockers. 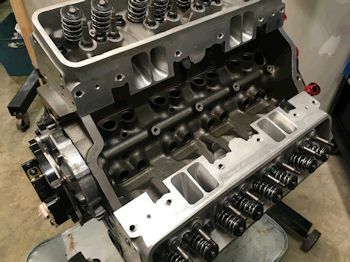 Heads and intake off and headed to Lloyd Elliott Portworks. 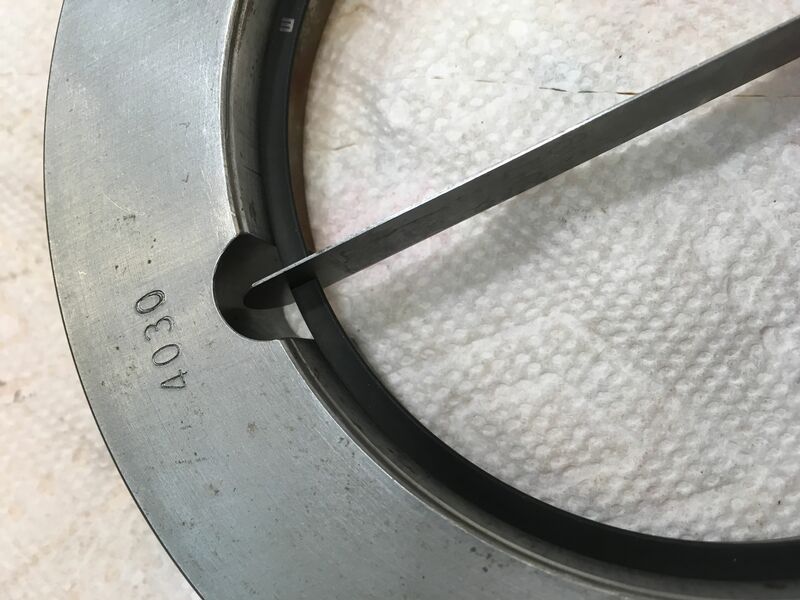 Ring filing. Shooting for .018" 1st ring and .016" 2nd. All piston/rods installed and block clearance checked. A few areas will require more clearance. All will be disassembled for more clearance work...then cleaning and reassembly. Washed and oiled after grinding for more clearance. 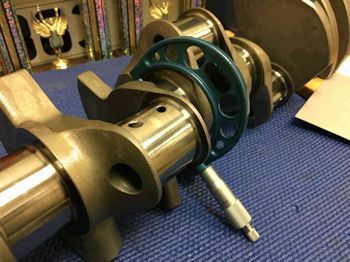 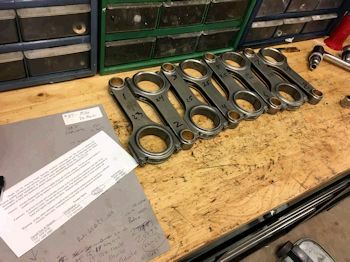 Lunati camshaft arrived, (a nice billet piece). 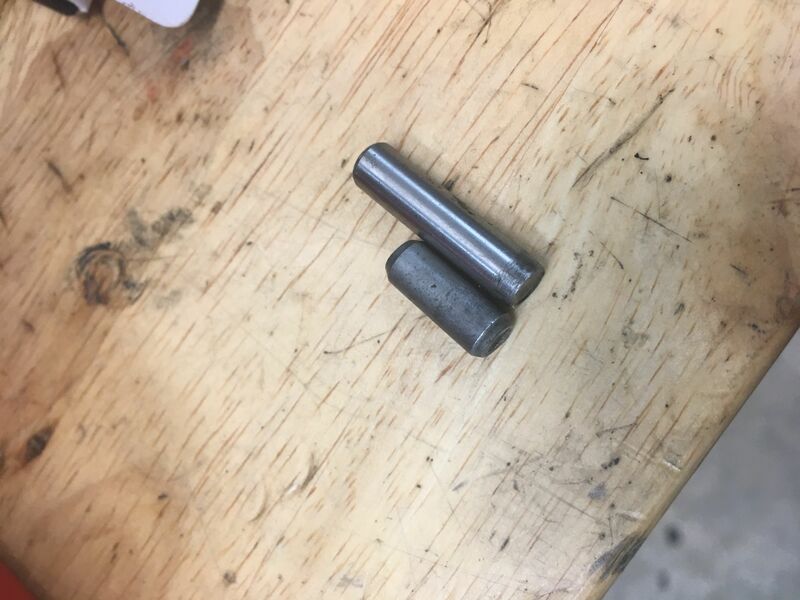 But every once in a while the camshaft arrives with a short dowel pin. 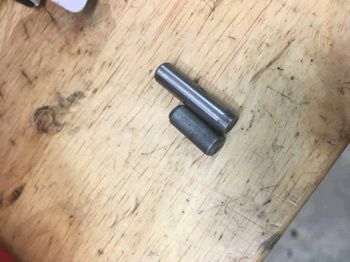 I have a very nice pin pulling tool and a large stock of longer pins. 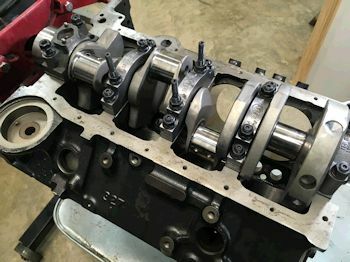 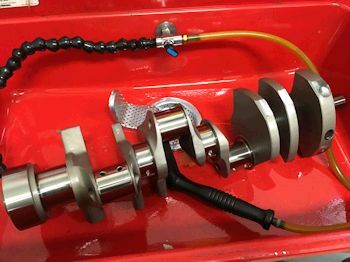 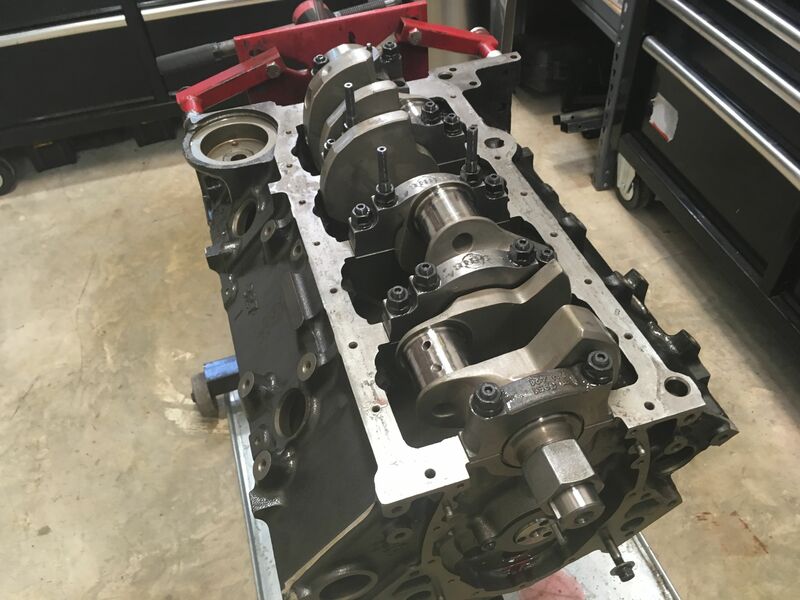 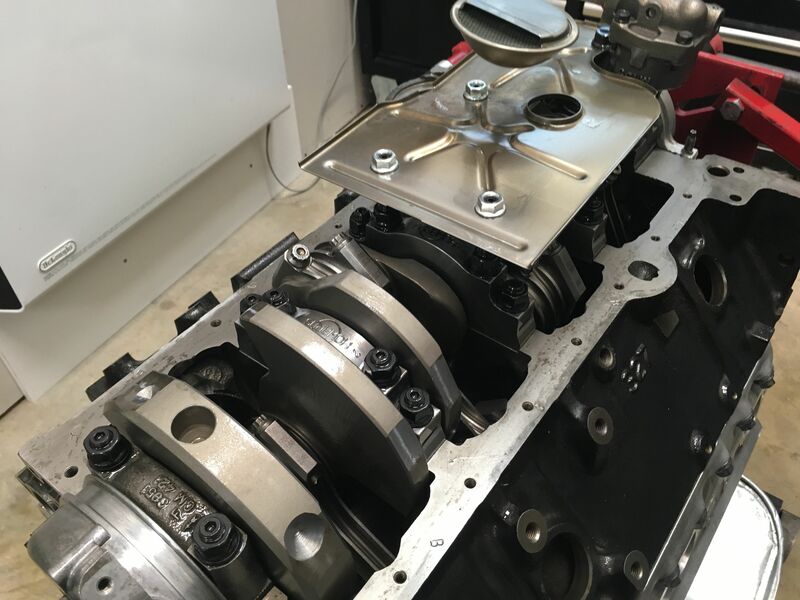 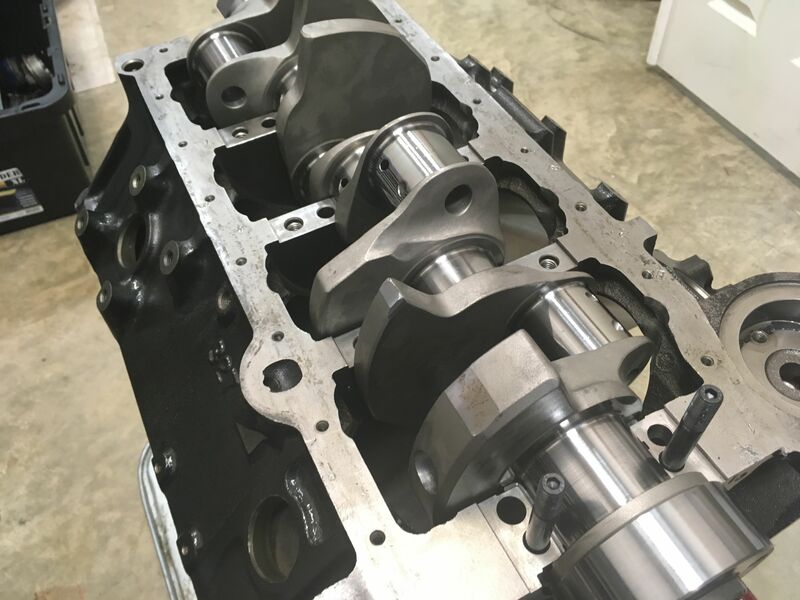 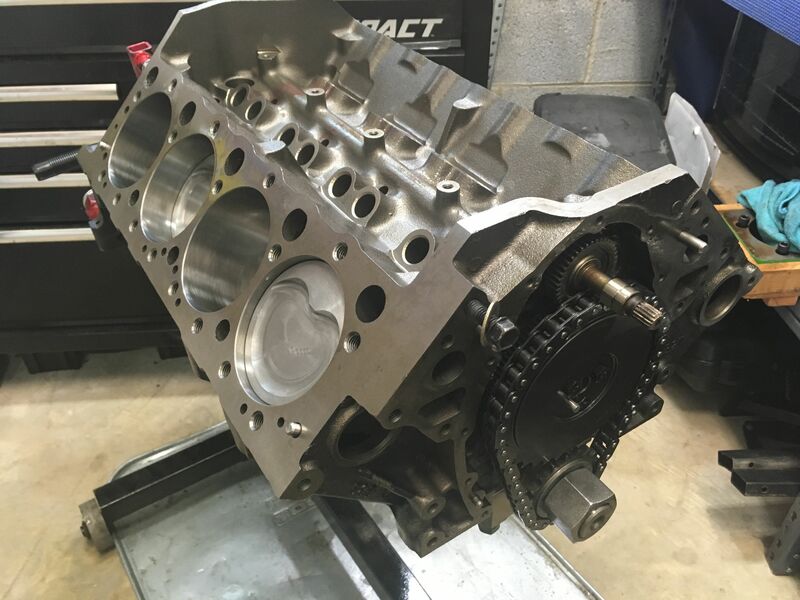 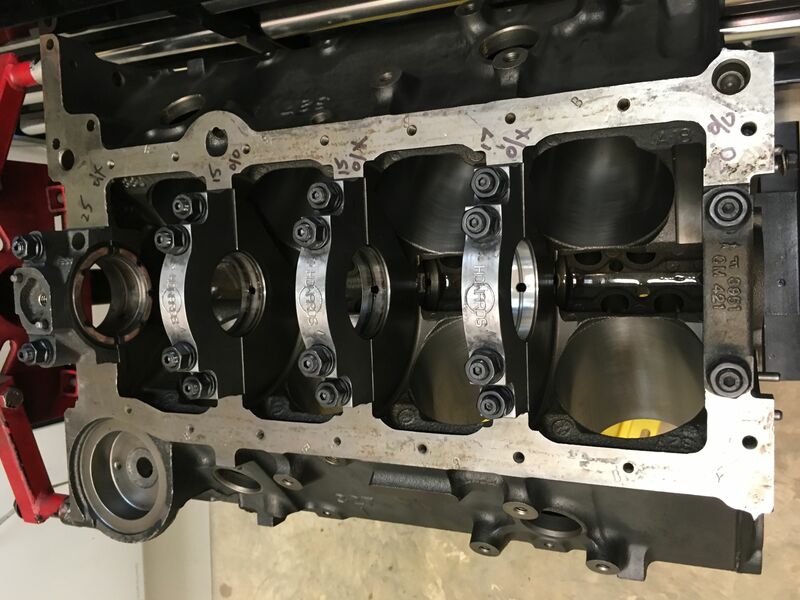 The camshaft is speced by Lloyd Ellott for mild street LT4 Corvette at .549/.565" lift and 219/227/114 duration. 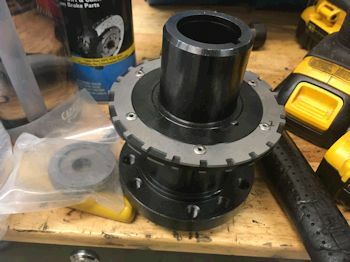 I made sure to re-install the main cap oil galley plug after the 2nd block grind and clean. Rod bolts torqued to 65ft-lb and the rod side clearance is .020"
...the Cloyes extreme timing set. Took me quite a while to get the camshaft close to the cam card. 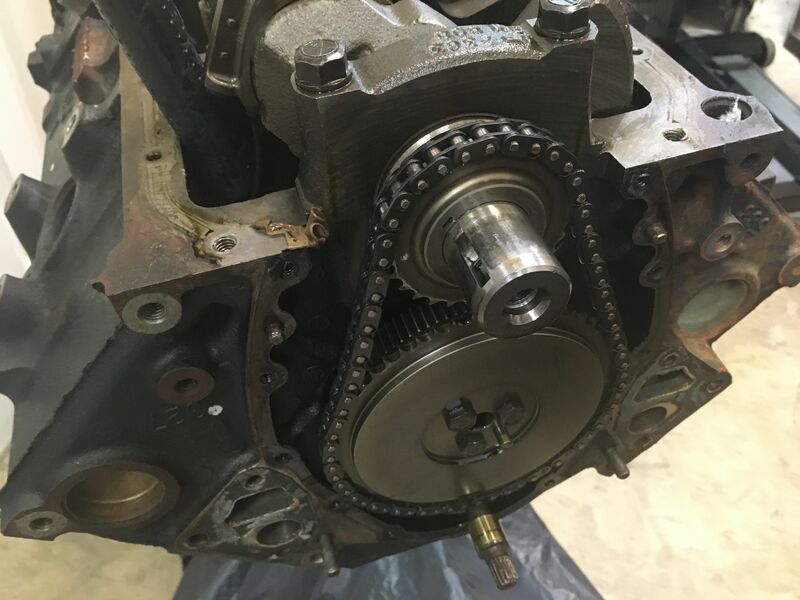 Started out at 2 deg retarded and so I set the crank sprocket to the advanced position and then she came in at 2 deg advanced...(that makes sense since the crank sprocket is plus or minus 4 deg settings. 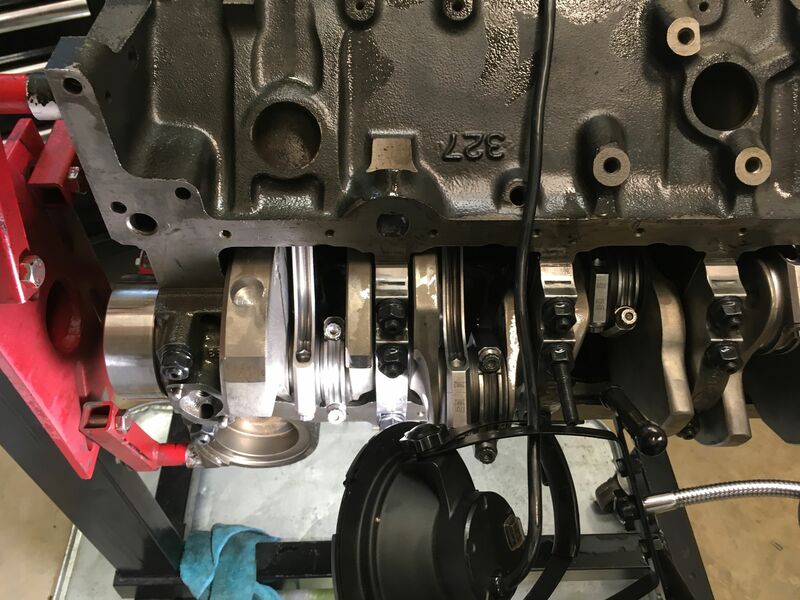 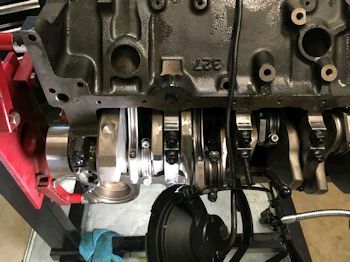 So I put it back to the zero setting and moved the camshaft sprocket as far advanced as possible while tightening the cam bolts. It ended up helping by 1 deg. 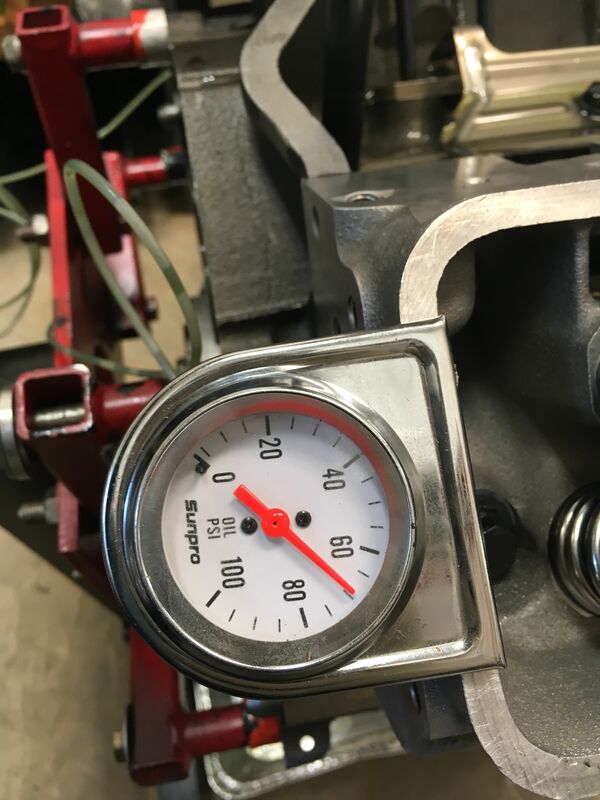 The cam is at 111deg intake centerline and the cam card spec is 110 deg. ICL. This is my shelf stock TorqHead sensing unit. 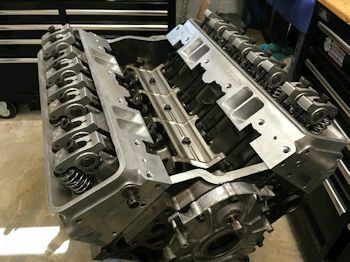 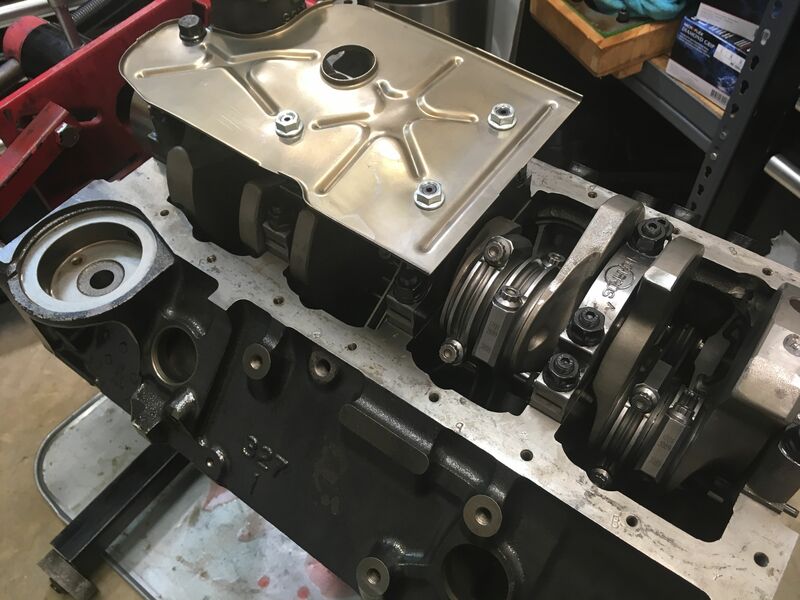 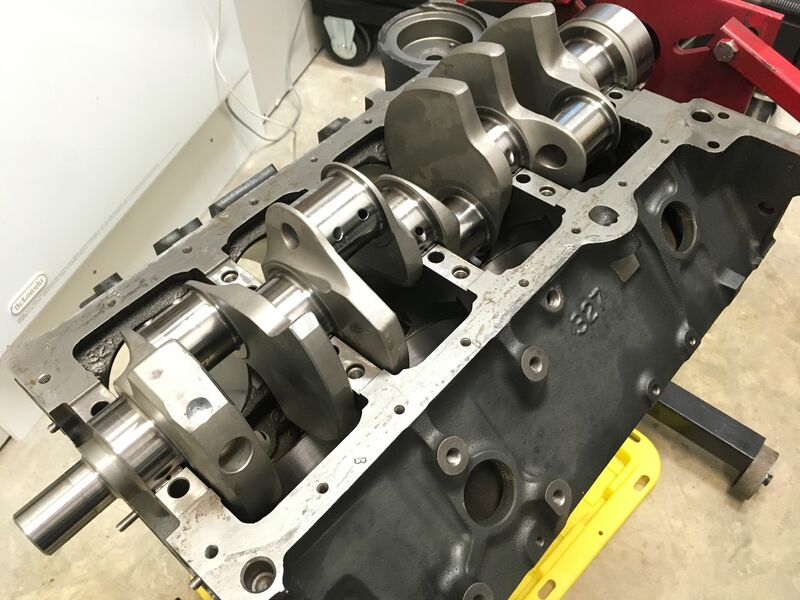 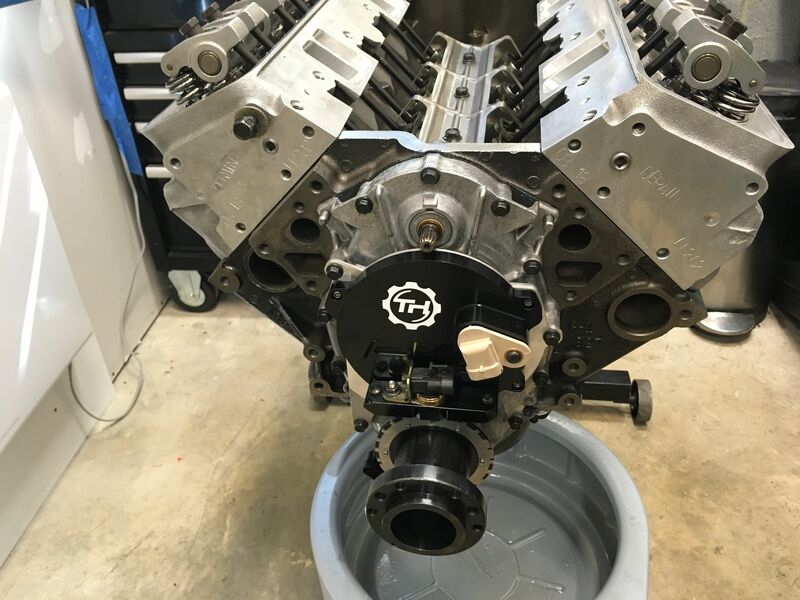 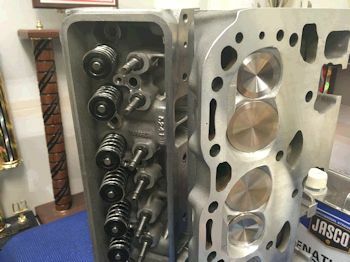 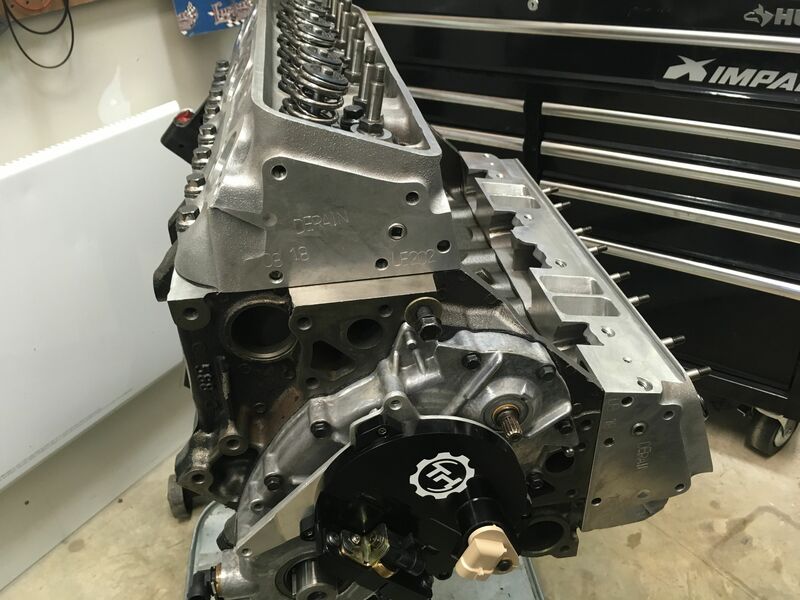 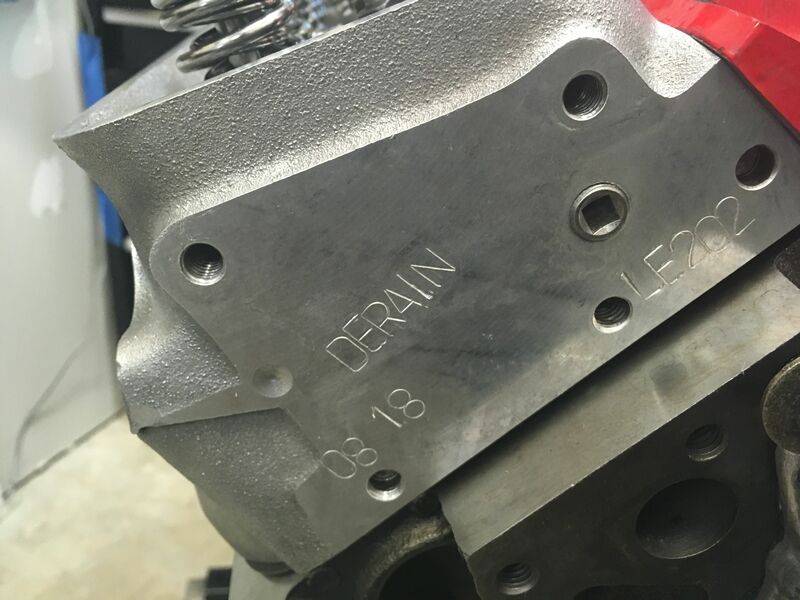 GM LT4 heads ported by Lloyd Elliott. Heads on as a mock up with LE ported LT4 intake manifold. 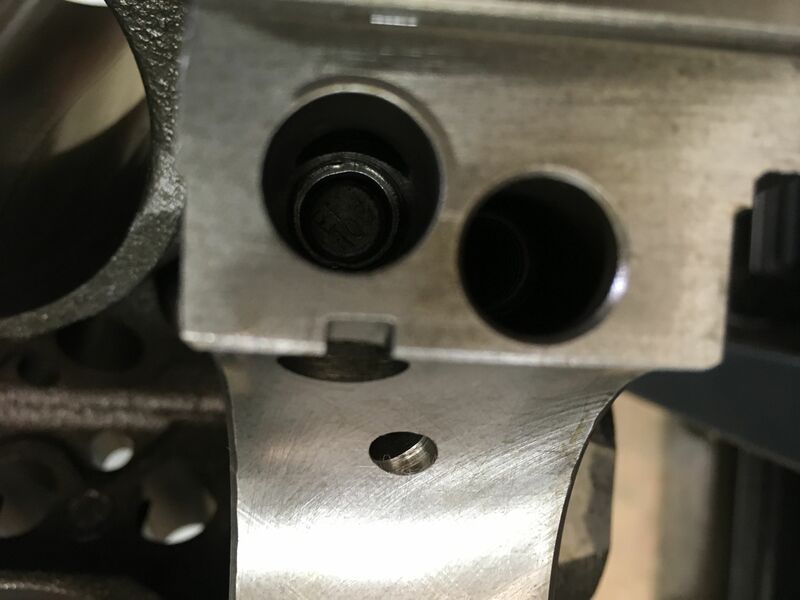 ARP head bolts cleaned and gooped with thread sealant on the threads and lube on the heads/washers. 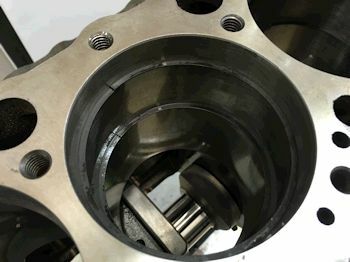 Volume of combustion chamber is 57ml (cc). 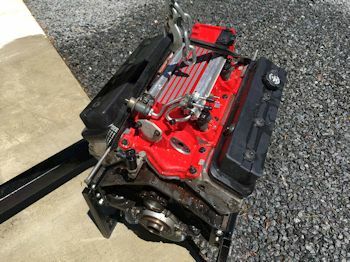 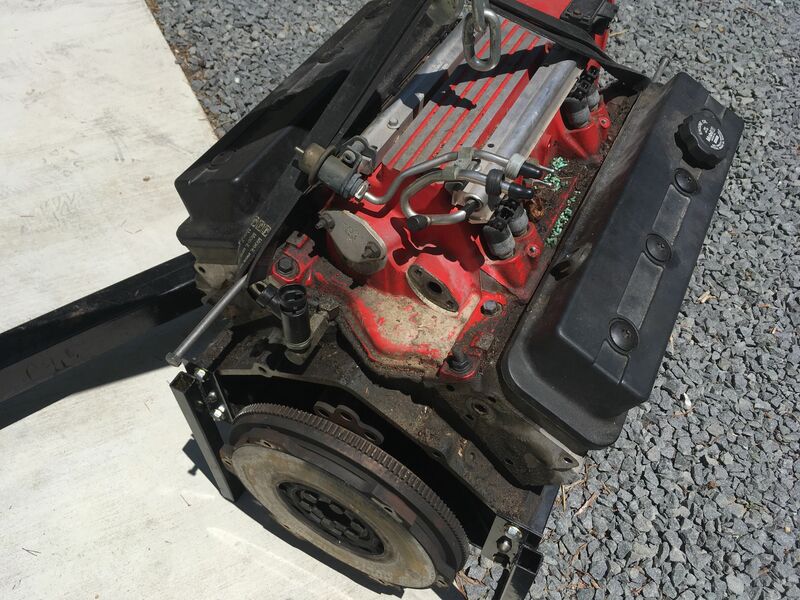 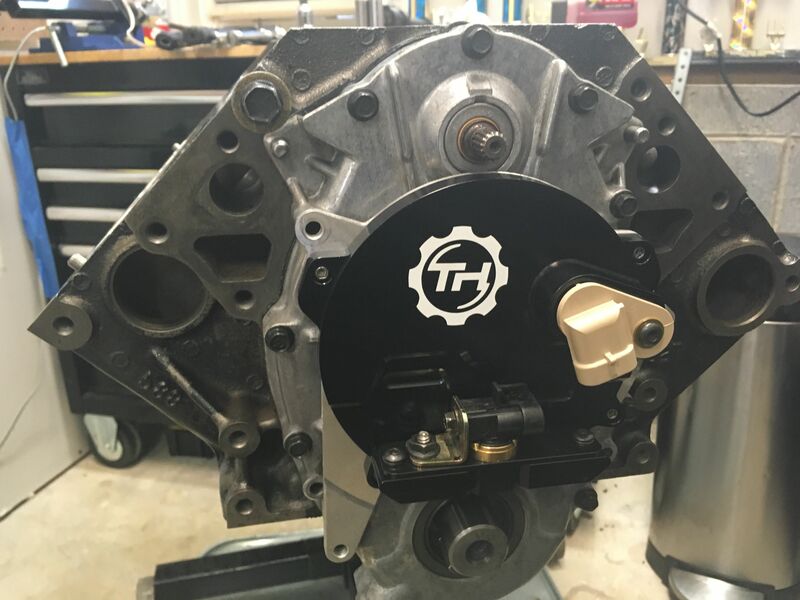 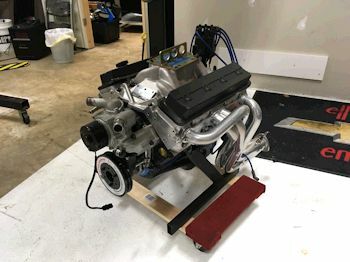 M155 oil pump with stock LT4 corvette pickup. 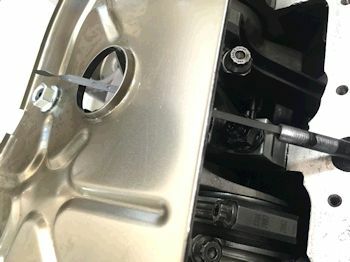 New GM dipstick tube cut shorter to clear the main cap. I can see some metal burrs on the tube in this close up. 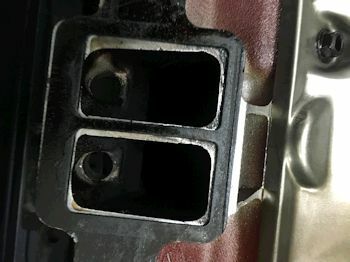 This will get cleaned up. 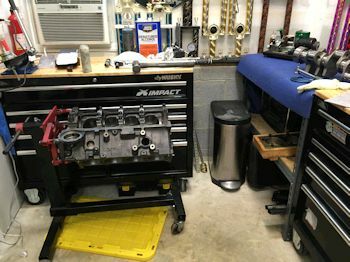 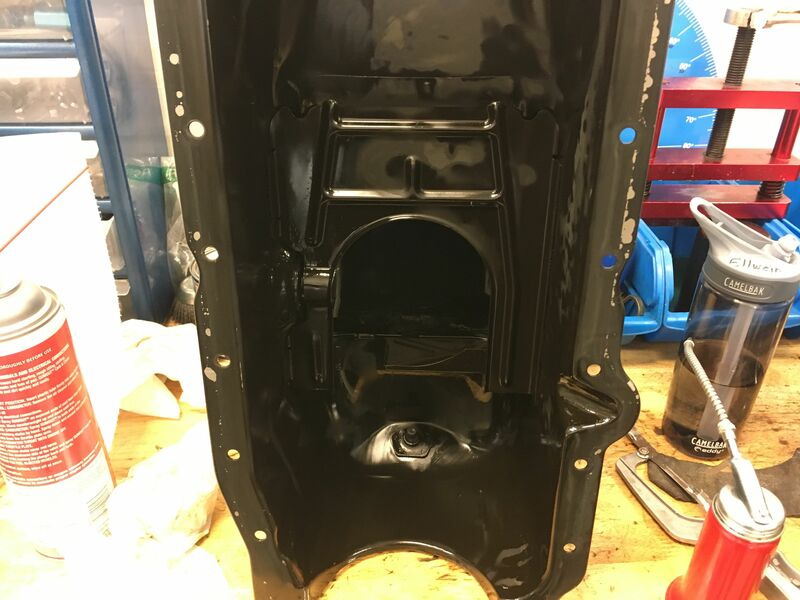 Stock Corvette oil pan cleaned up and clearanced at the front center for #1 & #2 rods and also at the left rear for #7 rod. 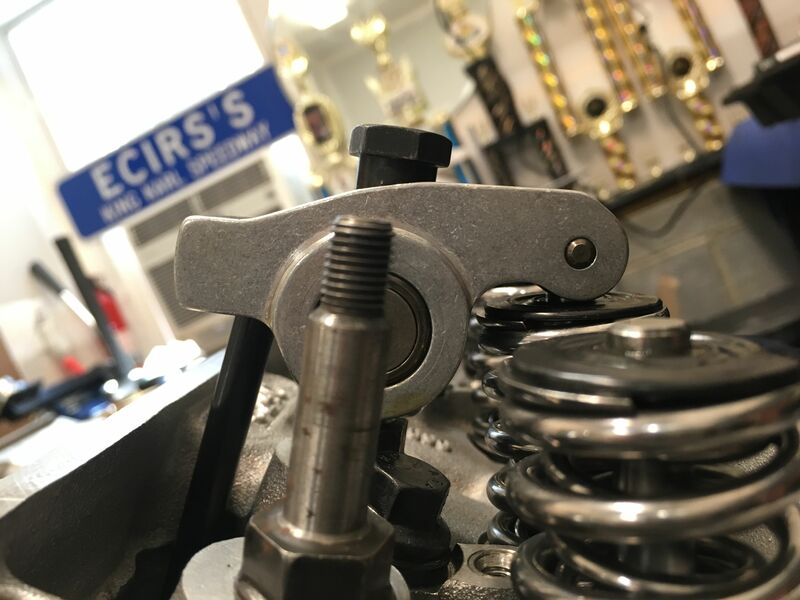 Non-adjustable rocker stud nuts require an exact pushrod length. 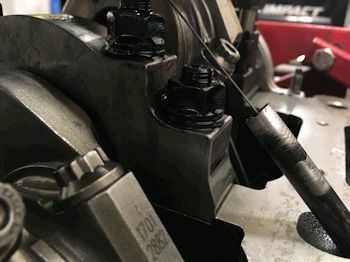 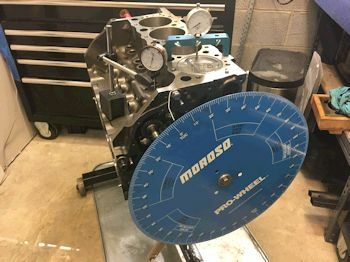 I picked a 7.250" Manley pushrod and it works well for most rocker/valve/lifter combo to give 3/4" turn past zero lash. 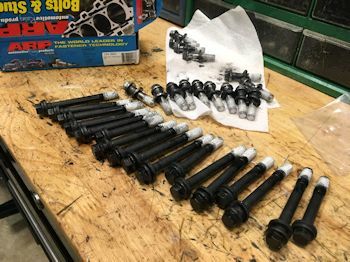 A few of them go to 1.0 to 1.25 turns past zero lash and so I'll use 7.200" pushrods in those locations. TorqHead hub and sensor unit installed prior to doing the oil pump drill spin-up. 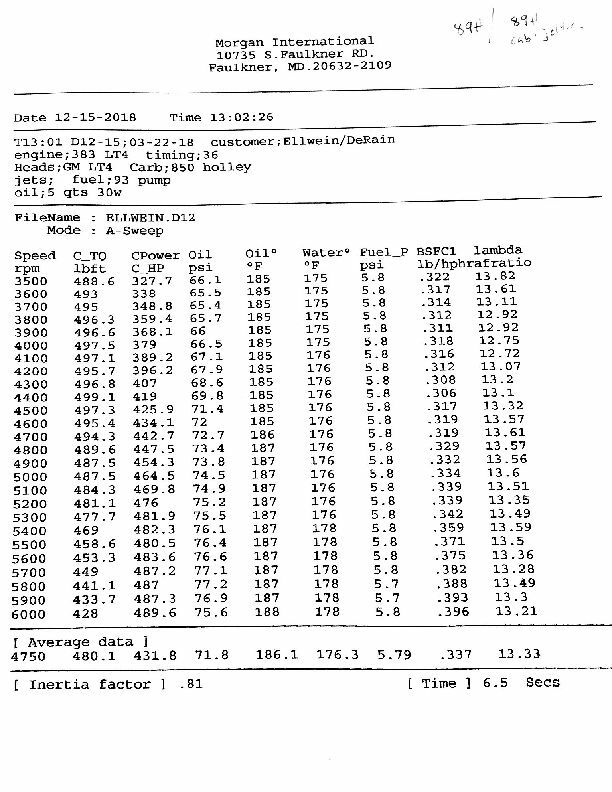 Drill spin of oil pump gives almost 70 psig. 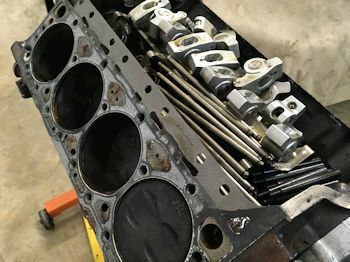 Took about 10 minutes to get oil up every pushrod to the rockers. 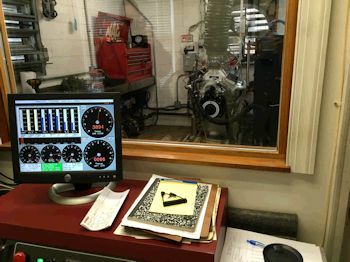 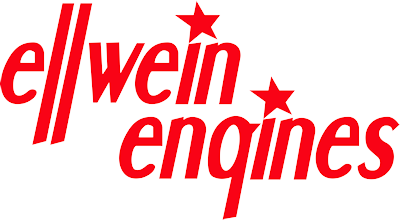 The main purpose of the engine dyno is to run-in the rings, (seat the rings). 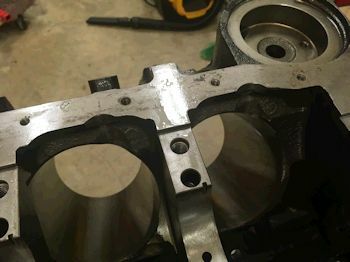 I use a simple GMPP LT1 carburetor intake manifold, (dual-plane). 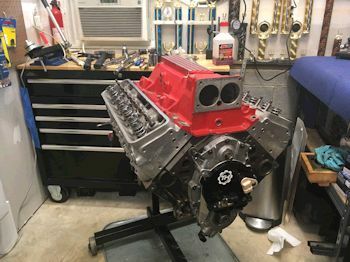 A Holley 850 cfm carb, and a locked out MSD distributor. 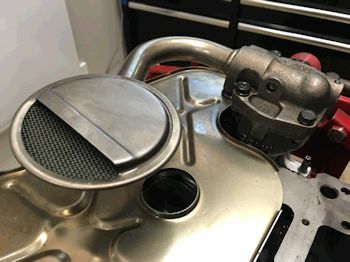 Usually I do not adjust the carb but today I had the time and a willing friend to help me jet the carb. We started the 1st pull with the carburetor as received from Holley, (84/84 jets). 1st pull is usually the lowest power/torque anyway due to the rings not completely seated. 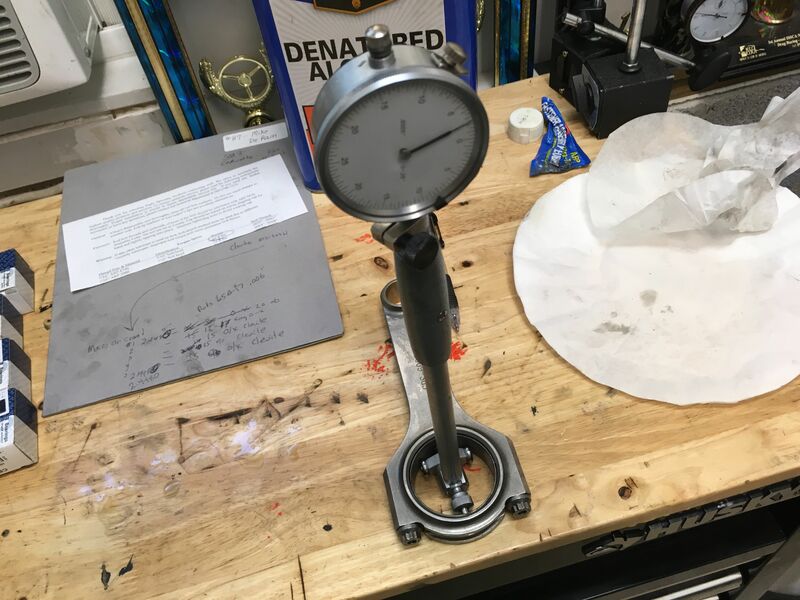 Spark timing at 35*. 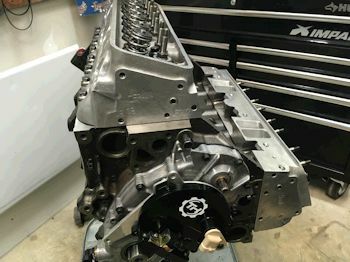 482 hp @ 5500 rpm. 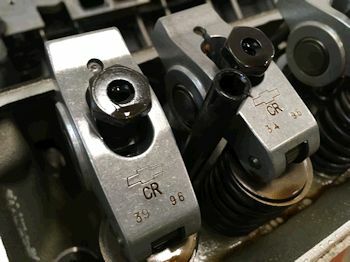 Also lean via the O2 sensor. 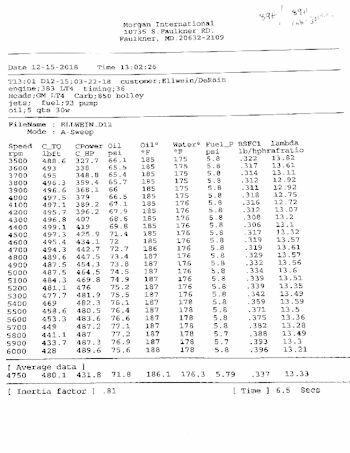 Then we jetted up and up and ended with 89/89 jets and a fatter air fuel which gave 489 hp @ 6000 rpm and 499 tq @ 4400 rpm. 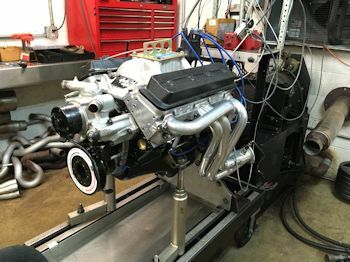 Back home safe and sound and happy for the dyno exercise. 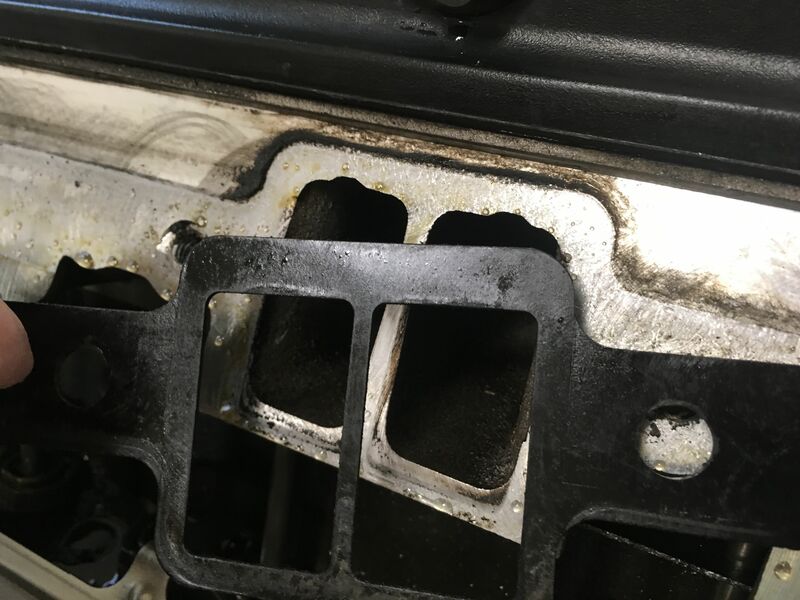 And no oil pan or seal leaks.